Today we’d like to introduce you to Erik Rachie. Erik, can you briefly walk us through your story – how you started and how you got to where you are today. I’ve always been fascinated with photography and video. I was fortunate to have access to computers, video and photography equipment at a very early age. One of my earliest photo essay school projects was about baseball. I graduated from Columbia College in Chicago and began my career working for a company that created corporate training CD-ROMs. My department filmed all the live video and created the training modules with video compositing software. I’ve been working for myself as an OS X / Macintosh consultant for many years and I also have been involved with intra-office video communications, training video and marketing video and photography for almost 20 years. I had been sporadically involved with filming sports skills, games and highlights up until five years ago when a colleague asked me to create a skills film for his son that played baseball. We spoke at length after completing his project, discussing the need for companies able to film and produce baseball skills videos. Not long after that conversation, I decided to pursue this opportunity more seriously and have made recruiting and skills video a larger part of services every year since. The availability of technology poses many challenges for people who do what I do. Right now I’m a one man band, so I have to do everything to maintain and grow my business. Recruitlings – what should we know? What do you guys do best? What sets you apart from the competition? Recruitlings.com is a company dedicated to getting high school athletes online exposure so college coaches can view their highlight and skills films. Recruitlings films, edits, and photographs high school and club athletic competitions. Once our highlight or skills films are complete, they’re uploaded to YouTube for viewing and the films are shared across multiple social media sites as well. I also produce short teaser videos that are shared on our Instagram account to drive viewers to our YouTube page to view the full version of the highlight or skills film. I’ve been told by some parents that I spoil them because of the quality of the video that I produce. 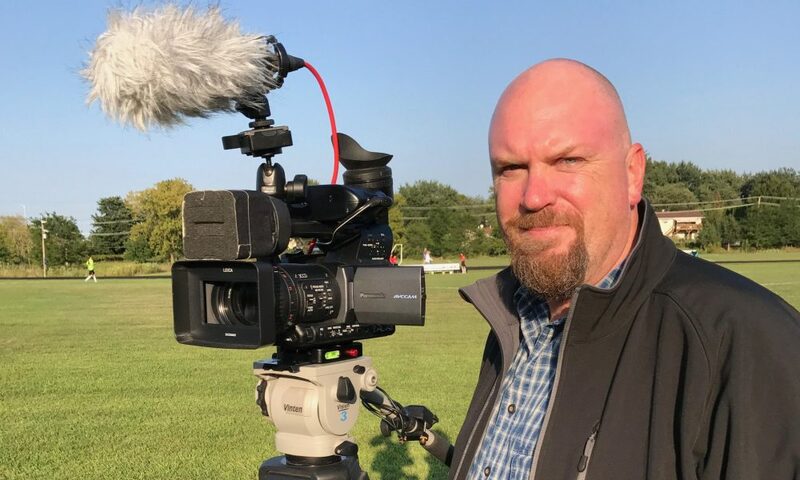 I can film with two cameras simultaneously, a smaller consumer camera for a “scout” view of the playing field mounted on a professional camera that I use to film a closer angle that I use for highlight films. As a company, I’m most proud that I’ve been able to help many high school athletes fulfill their dreams of playing sports at the collegiate level. Ultimately, it’s their talent, ability, and grades that earn them their scholarship. My small part of that process is producing a highlight or skills film that a college coach will watch to the end to determine if that athlete is right for their program. I think that what sets my company apart from others is that not only are the highlight and skills films I’m producing as high a quality that I can create, I also spend extra time researching SEO for YouTube that can have an impact on the overall online visibility of the highlight and skills films I post for my clients. I’m a young company in this field. I could easily define my success on how many people are watching the highlight and skills films that I’m posting on YouTube and Instagram based on the number of views they get. My main interest is producing a high-quality product for my clients that a college coach will want to view to the end. I simply provide a tool for the scholarship seeker to add to their tool box. There’s a very small percentage of standout athletes in the country, less than one percent, that many college coaches would love to have on their teams. For the remainder of the prospective athletes, they need the extra exposure of a highlight or skills film. I have helped numerous high school athletes get into NCAA programs with the work I’ve done for them. That makes me most proud of what I do.